Wind is making big headlines these days. Hurricane forces, tornado touchdowns, wind-driven snow, gale-force battery. And we strive, don’t we?, to predict the behavior of the wind. when the wind blows, we are at its mercy. Storms arise that defy prediction. Meteors fall from the sky that with all our technology we didn’t see coming and people lose faith in the predictors who watch the skies crying out that it’s the end, it’s the end, it’s the end. I don’t know. If God isn’t sharing that info with Jesus, He surely isn’t whispering it to me. and everyone without an anchor is tossed about until they decide the only course is to ride the prevailing wind and hope for the best. These days I read again and again, chapter 27 of the book of Acts. It is a chapter about a ship full of men who were at the mercy of the wind. On the ship, was Paul, God’s man. Under arrest, he was there, not by choice but by calling. He faced the same winds as the captain and crew who had ignored his counsel not to sail. He was battered by the same storm. Starved along with them. Rode the same waves. Looked into the same dark, starless night knowing how perilous was their situation. Knowing God did not keep him off the ill-fated ship nor did it protect him from the misery of the journey, the lack of food, the darkness of the hour, the smell of men fearing for their lives, Paul allowed the wind to drive him, not to fear, but to God. His was not the voice of panic in the wind. He did not pronounce condemnation on the men who had ignored his warning. He did find himself immune from cold, wet, hunger, or pain. He spoke words of truth into the windy night. He listened for God’s voice that can penetrate the wind and He heard from God and proclaimed what he heard to the men without hope. He most likely interceded for the men despite their poor choices and ignorance of God. Paul did not succeed in saving the ship but God did spare the lives of all aboard and even used the shipwreck to witness to the power of God to the natives of the island on which they landed. In the beginning of the chapter, the captain sought shelter from the defiant winds by utilizing the lee of the islands, the sides that were sheltered from the wind. Out at sea, though, there was no lee side visible to faithless men. But Paul knew God is a shelter. He sailed the lee of Jesus Christ and his faith and wisdom brought them all safely to shore. How are you responding to the winds? What voice do you raise in the storm? Have you sought and heard from God? Do you speak what you hear from Him? Or are you a blowhard for God, adding nothing but more hot air to the storm? These are the questions I’m asking myself as the wind rips at the sails on my ship. Will the knowledge that I am at the mercy of Christ alone inform my response to the storm? I pray that it will. How about you, loved ones? Sometimes actions DO speak louder than words. 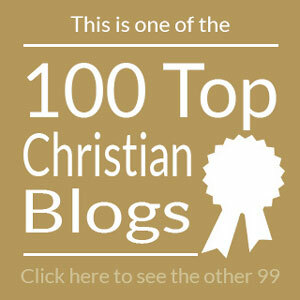 I found your blog today through the Fellowship of Christian bloggers. Thank you for this post today. I often wonder if I am being effective in the way I am living out my faith in such a topsy, turvy society…another person put it like this: am I being a temperature or a thermostat towards the people around me? A most generous welcome, Rach! Thank you for joining in on the blog fun!